The color of this aqua chalcedony is like drinking a tall glass of summer! 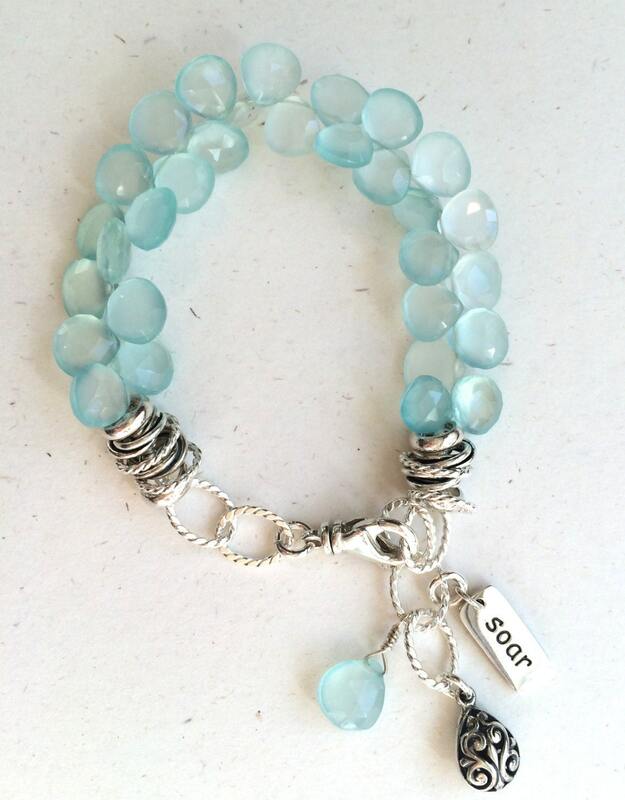 Translucent aqua chalcedony gemstones surround this stunning bracelet. Miniature sterling silver rings add visual interest and substance. This bracelet is adjustable in length thanks to the sterling links and swivel lobster clasp. Fits wrists 6 1/2"-7 1/2". Larger sizes can be accommodated. 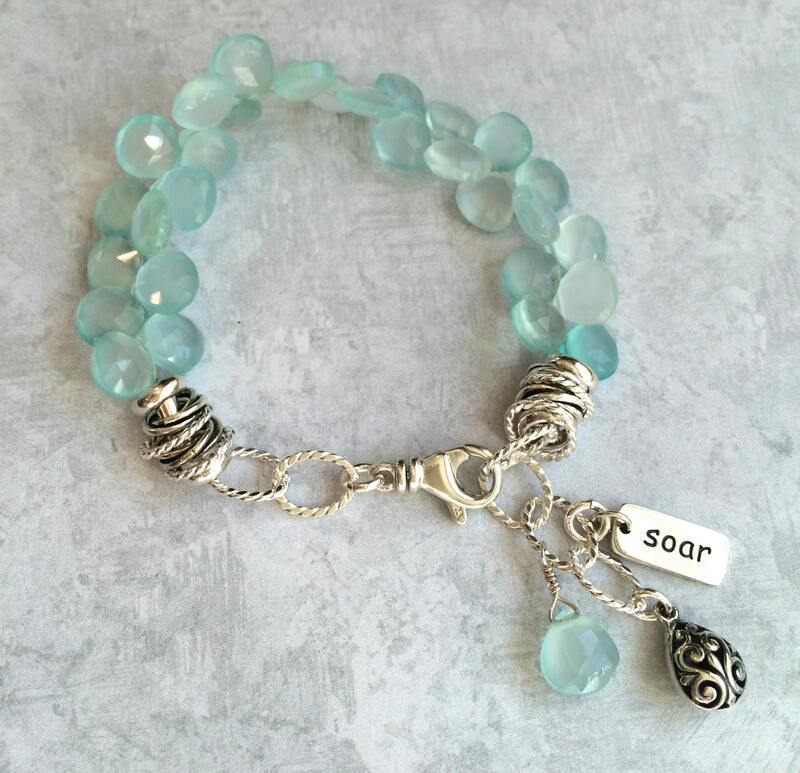 3 charms (Soar charm, Bali silver drop, and chalcedony brio) dangle from the end to give this bracelet movement. 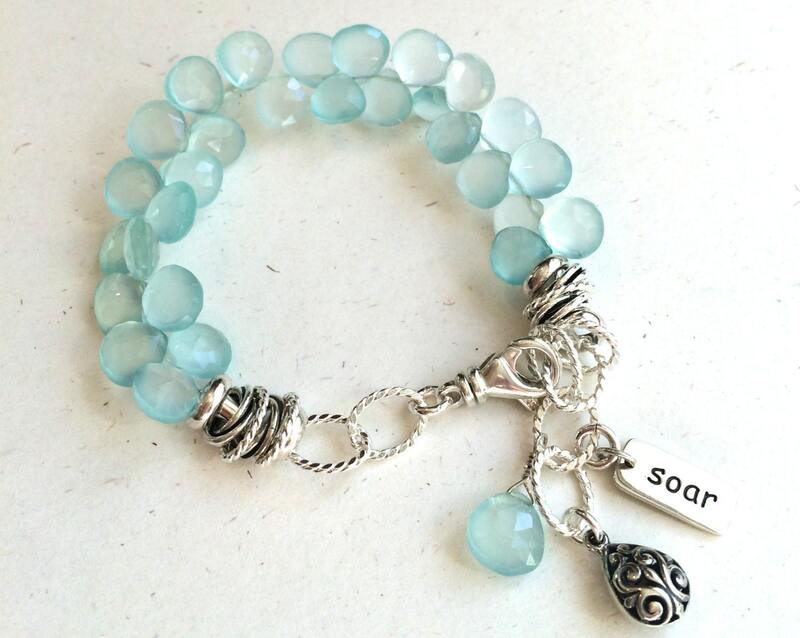 "Soar" is perfect for graduates, new moms, new careers, or any new beginnings. 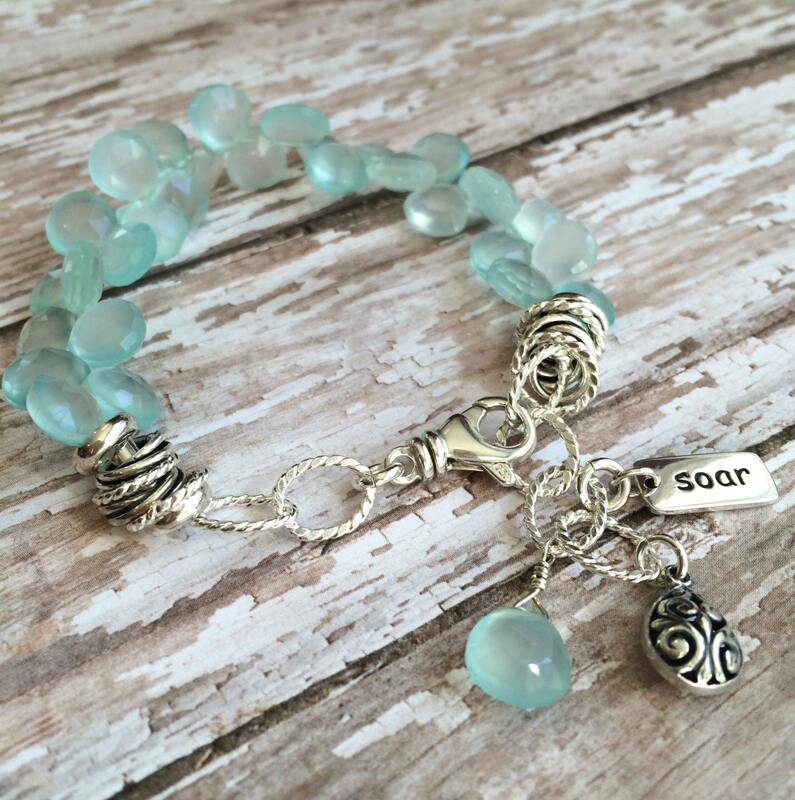 Other inspirational word charms are available. Please contact us.